Visit Oudtshoorn, the principal town of the Little Karoo, where you will be welcomed with hospitality which has become synonymous with the people of the Klein Karoo. 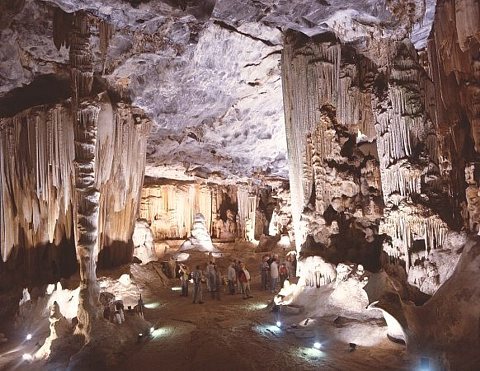 Today, Oudtshoorn is included in the Garden Route & Klein Karoo region, which includes many towns along the Southern Cape Coastal Region, stretching from Hermanus, close to Cape Town in the Western Cape to St Francis Bay, close to Port Elizabeth in the Eastern Cape. The Klein Karoo is an oasis-like setting in a fertile valley cupped by the Swartberg and Outeniqua mountain ranges, and originated as a settlement along the Grobbelaars Rivers which meanders southwards from the Swartberg, providing fertile soil and water for irrigation. Crops such as lucerne, tobacco, fruit, grapes and grains grow here in abundance. 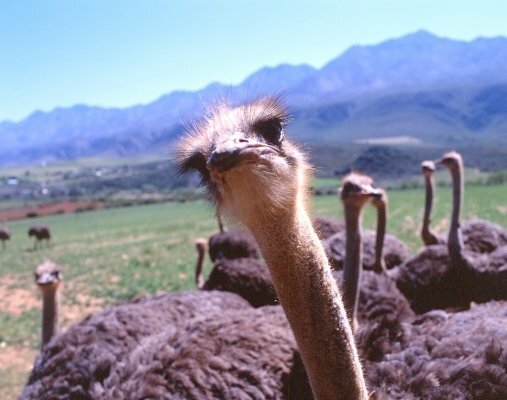 A major export of Oudtshoorn farming community is ostrich and its associated products. Oudtshoorn restaurants are renowned for ostrich steaks and burgers. 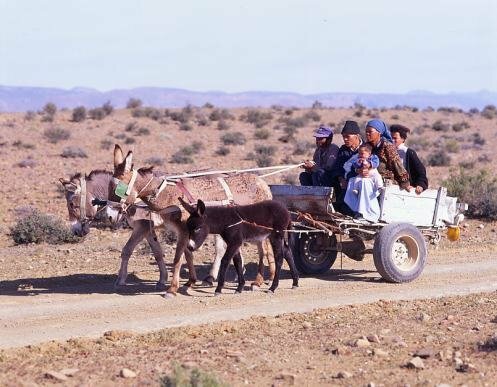 Outdshoorn is a town boasting the most sunny days per year in the whole of South Africa, 365 sunshine days, 4 summers and sunny, dry winters await the visitor to the Klein Karoo. Shielded from the coastal belt by the mountain ranges the Klein Karoo also enjoys many windless days. Although the major town in the Klein Karoo Oudtshoorn is also situated on the edge of the Garden Route, between the Outeniqua and Swartberg Mountain Passes. 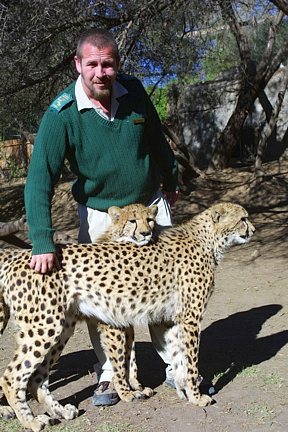 Oudtshoorn is a wonderful exciting halfway stopover when traveling between Cape Town and Port Elizabeth, with the coastal town of George about 56 km's away. Each year Oudtshoorn hosts the countries top cultural event in South Africa, i.e. the Klein Karoo Kunste Fees. The event regularly draws close to 100 000 people to the small town and for the week Oudtshoorn is a hive of activity. Popular theatre and music acts plus the top artists strut their stuff at this major event. Oudtshoorn is spread along both banks of the Grobbelaars River, a tributary of the Elephant's River, and its fertile valleys are encompassed by the Swartberg Mountains to the north and the Outeniqua Mountains to the south. One of South Africa's eight wine regions, the Klein Karoo is large in area but small in production and these wines are classed with the best in the South African Context. Visit numerous estates on the Klein Karoo Wine Route from Montagu in the West to Meiringspoort in the East. First class hotels, lodges, inns and guesthouses await the visitor. Enjoy the relaxed, friendly, hospitable atmosphere offered in town or at various surrounding farms. Experience the joy of life in the country and breathe in the healthy, unpolluted air. Taste the art of the fine local wines and dine on the excellent cuisine of restaurateurs from a five course meal which could include Ostrich, to a delightful lighter meal, all exquisitely available to satisfy every taste.